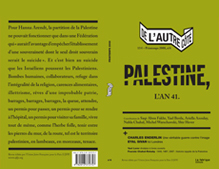 Accompagnant la sortie du livre co-écrit avec Eric Hazan, Un Etat commun, entre le Jourdain et la mer, aux éditions La Fabrique, le film d’Eyal Sivan fonctionne cependant comme objet autonome. 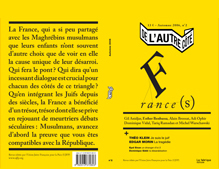 Plus encore, c’est le livre qui apparait presque comme une mise à plat, un résumé clair et concis des thèses qui apparaissent dans le film. Dans l’un comme dans l’autre, les mêmes thèmes sont abordés, suivant une répartition chapitrée, et certains intellectuels cités dans le livre prennent la parole dans le film. C’est que ce dernier constitue essentiellement une synthèse de réflexions orales sur l’état actuel ..
RETROSPECTIVA DE EYAL SIVAN EN EL THESSALONIKI DOCUMENTARY FESTIVAL El cineasta nacido en Haifa es uno de los críticos más feroces del sionismo. Al festival griego llevó varios de sus films, incluido Estado común-Conversación potencial (1), en el que se propone la noción de un estado común para israelíes y palestinos. Desde Tesalónica Así como el año pasado fue la retrospectiva dedicada al ruso Serguei Loznitsa, en esta edición el Thessaloniki Documentary Festival –que en sus últimos días se ha beneficiado con los primeros rayos del sol sobre el Egeo, que anuncian la llegada de la primavera– tiene como punto más alto la ..
Today Palestinians commemorate the nakba, or day of catastrophe. At the same time, the state of Israel seeks to criminalize this expression of an autonomous Palestinian national consciousness, which threatens to fragment and disrupt Israel’s historical self-narrative. 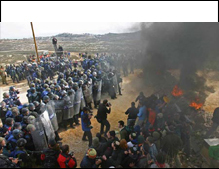 This year, the nakba finds itself in the shadow cast by the Israeli Knesset law, approved on 23 March 2011, which denies state funding to any organization that “undermines the foundations of the state and contradicts its values.” The new law, referred to in popular discourse as the “Nakba Law,” is aimed at dissociating Israel’s Independence Day from the Palestinian day of mourning. In the discourse of both politics and cinema, this day that .. Von Handtuchhaltern und strengen Blicken Von Claudia Siefen (Schnitt) 31.07.2010 Seit letztem Jahr hat sich einiges getan in Prizren, am Fluß Lomebardhi im südlichen Kosovo gelegen. Zumindest das Stadtzentrum schien im letzten Jahr immer noch erstaunt, daß das Internationale Filmfestival »dokufest« auch tatsächlich immer mehr internationale Gäste anlockt. Zur diesjährigen neunten Ausgabe und im Hinblick auf das nächstjährige Jubiläum gibt es nun in der Innenstadt ein neues Hotel gehobenen Standards, Elektrizität und Internet; nur der sonnige Frühstücksraum muß noch ausgebaut werden, die fehlenden Handtuchhalter in allen Zimmer montiert werden und bis .. The image of the orange in history by Bert Rebhandl (culturebase.net) Pick up an orange in the supermarket produce section and it is not unlikely it will be from Israel. The Jaffa name is associated with a rich brand tradition. Over decades, countless shiploads of Jaffa oranges have left Tel Aviv, bound for ports around the world. Behind every brand there is a story. 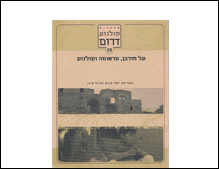 In the case of Jaffa, it is that of Arab-Jewish farming in Palestine, which with the founding of the nation of Israel in 1948 was quietly banished from public memory. 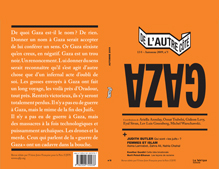 In his documentary film “Jaffa, the Orange’s Clockwork,” Eyal Sivan explores the image of the Jaffa orange through the course of its history – from the early days of Zionism up to rece..
Jaffa, histoire d’un symbole par Marina Da Silva (Le Monde Diplomatique) Jaffa, l’une des plus anciennes villes du monde, était aussi l’une des villes les plus prospères et les plus peuplées de Palestine. Avec ses orangeraies déployées à perte de vue, elle fournissait du travail, depuis la cueillette du fruit jusqu’à sa préparation pour l’exportation, non seulement aux Palestiniens mais à des ouvriers venus d’Egypte, de Syrie, du Liban. En 1948, plus de 4 000 bombes tombent sur Jaffa. Sur les 85 000 Arabes qui y vivaient, il ne va plus en rester que 3 000. 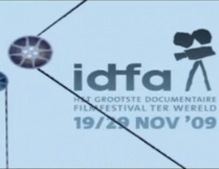 Le gouvernement israélien confisque les orangeraies et s’appropri..
News from the Future of Public Media IDFA, Ivens, Oranges and More Review by Prof. Patricia Aufderheide (AUSOC) If you want to take the pulse of documentaries as interventions in publiclife, the International Documentary Film Festival at Amsterdam(IDFA)—which just wound up on Sunday—is an excellent stop. The largestinternational documentary film festival in the world, it exhibits hundreds offilms, takes in thousands of international visitors, attracts passionateaudiences that pack theaters on a Sunday morning for impossibly obscureexperiences, and hosts a vigorous market. It focuses on documentary witha social agenda, rather than the burgeoning field of “factual entertainment.”Sure, you could take a boat ri.. 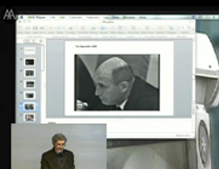 Representing the Eichmann Trial 10 years of controversy around The Specialist By Rebecka Thor M.A. 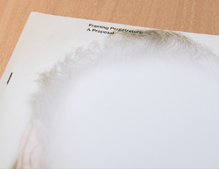 Thesis for Liberal Studies, The New School for Social Research in New York. Advisor: Andreas Kalyvas, Assistant Professor of Political Science, The New School for Social Research in New York Reader: Juliane Rebentisch, Professor of Philosophy, Goethe University in Frankfurt am Main. A special thanks to Eyal Sivan. Contents: 1. Disruptive Narratives.............................................................................................3 2. The Trial of Adolf Eichmann...................................................................................8 3. 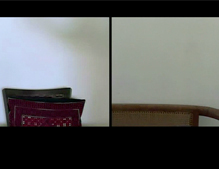 The Making and Archiving of the Materi..
An honest filmmaker? by R.S.H. Tryster In the controversy over whether director Eyal Sivan should receive public funding, the left has been for, the right against. My voice belongs to neither; it is a non-Zionist one of only partly Jewish ancestry and comes to you from Berlin. My information comes from first-hand knowledge. Sivan's dishonesty is a compelling reason to exclude him from public funding. Sivan now plays the victim, falsely denying that he has endorsed calls for anti-Israel boycotts. Recently, in London, he could be seen emphasizing with thumping hand that disrespect of international law by Israel "gives us the permission to question the right of Israel to exist!" 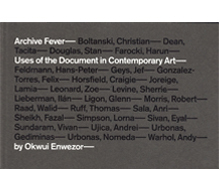 My exposure of the forgeries in Sivan's .. 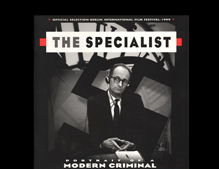 The Specialist, a 1999 documentary film, written and directed by Israelis Rony Brauman1 and Eyal Sivan respectively, offers a unique perspective on a spectacle which exponentially increased the world’s comprehension of the Holocaust.2 In 1961, Adolf Eichmann, the Nazi bureaucrat who once headed the German government department which coordinated the transport of several million European Jews to their deaths during World War 2, faced trial by the State of Israel at Jerusalem.3 Eichmann was charged with 15 counts of crimes against the Jewish people, and his guilt was a foregone conclusion even before the hearings commenced.4 Nevertheless, Eichmann’s trial challenged the status quo in respect to numerous political and ontological.. The Barber Trial: Sivan vs. Finkielkraut by Thomas Keenan and Eyal Weizman CABINET, Issue 26 Magic Summer 2007 In February 2004, French-Israeli filmmaker Eyal Sivan filed a libel suit in the Paris courts against philosopher Alain Finkielkraut. 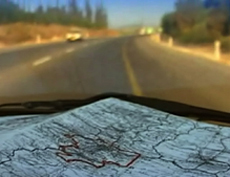 The previous year, Sivan, working with Palestinian filmmaker Michel Khleifi, had released Route 181: Extracts from a Palestinian-Israeli Journey—a four-and-a-half-hour travel documentary tracing what remains, in the memories of the landscape and its inhabitants, of the violent expulsion in 1947–1948 of som­e three-quarters of a million Palestini­ans from the territory that would become the state of Israel. The film had been aired on the European cultural tel.. Convicted by a kangaroo court, by Merav Yudilovitch, Ynetnews 06-08-07 Eyal Sivan has been the target of a witch hunt for an entire week. Since publication of reports that he will direct a film supported by the Rabinovitch Foundation he’s been called “anti-Israeli” and “pro-Palestinian,” but he’s remained silent. “I’ve been abandoned,” he says, and claims that the reports were intended to influence the decision of the public committees For a whole week Eyal Sivan has been in the headlines on news pages, op-ed pages, and the internet. An entire week in which expressions such as the following have appeared next to his name: “prominent hater of Israel,” “s..
Opposition for the wrong reason by Goel Pinto Haaretz - Israel News This week, the artistic committee of the Yehoshua Rabinowitz Foundation is scheduled to state which film it believes the foundation should support in the archival project "Past Present." This project has stirred up a storm, at the center of which is director Eyal Sivan. The story begins with a tender published a few months ago by the New Israeli Foundation for Cinema and TV, the Jerusalem Cinematheque and cable Channel 8. 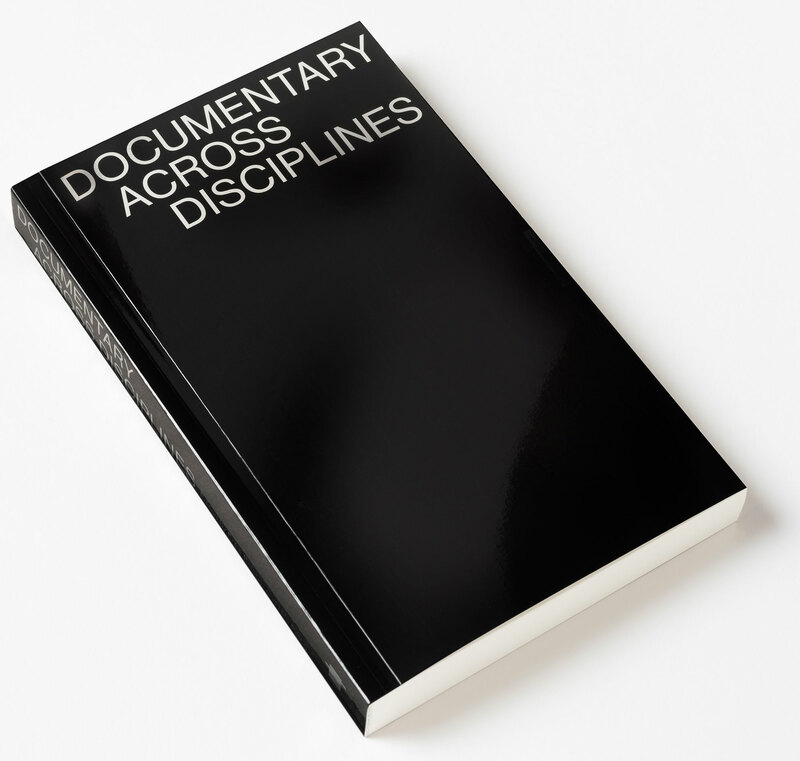 They asked artists to submit proposals for documentaries based on archival materials. Dozens of proposals came in, and nine of them reached the second stage.. The controversy over whether director Eyal Sivan should be publicly funded prompts me to write the following lines. Some of Sivan's supporters have dredged up his defence to my claims about his work on "The Specialist," which were widely reported in early 2005. Sivan falsely labeled some of my claims lies and I wish the record set straight. Contrary to Sivan's heavy insinuations that I am not to be trusted because I am a slave to Zionist ideology, I neither live in Israel nor am I either affiliated formally, or by sympathy, with any part of the Israeli political spectrum. 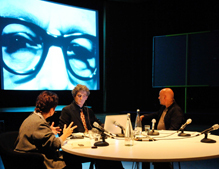 Before looking at "The Specialist" I would like to address two questions that have been widely discussed in connection with the issue a..
Increasingly sophisticated technology for recording and reproducing sound and images is altering the traditional theatrical and literary element of the courtroom, writes video installation artist Judy Radul. 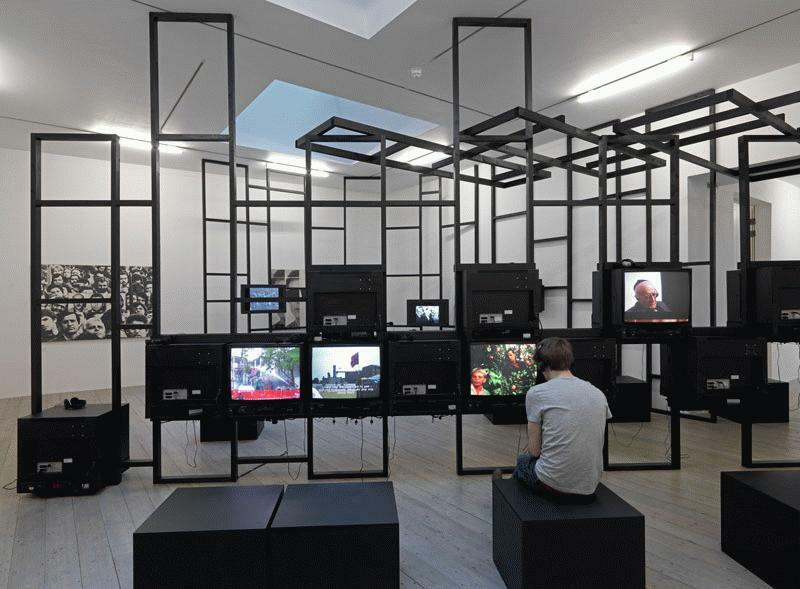 Considering artwork and theory exploring connections between the image, power, and law, Radul asks whether "it is possible to imagine a court, guided by justice and law, taking into account the new 'politics of representation'"? "In the playhouse, as in the courtroom, an event already completed is re-enacted in a sequence which allows its meaning to be searched out. 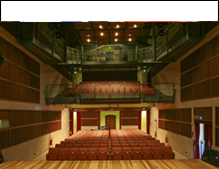 [...] The courtroom is, or should be, a theatrical space, one which evokes expectations of the uncommon. [...] Theatrical effects are such domi.. Some forty years after the publication of Hannah Arendt’s controversial book Eichmann in Jerusalem: A Report on the Banality of Evil, the Israeli-born filmmaker Eyal Sivan released his documentary film The Specialist, explicitly referring to Arendt’s work. 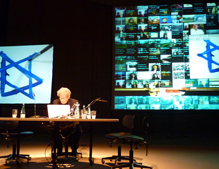 Sivan took archive footage filmed in 1961, during the trial of Nazi criminal Adolf Eichmann in Jerusalem, and edited it to present a cinematic articulation of Arendt’s book. 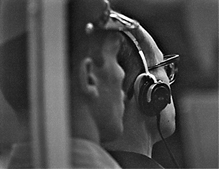 The film discusses the fundamental flaws in the way the trial was conducted as well as the nature of Eichmann’s crimes. 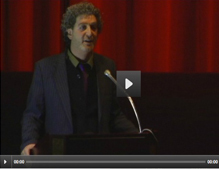 This article analyzes Sivan’s use of narrative, editing, visual, and auditory stylistic devices to expose the way the trial was..
Abstract: In his controversial 1998 film, The Specialist, Israeli director Eyal Sivan casts the Holocaust in a new light when he represents it through the eyes of the Nazi perpetrator. 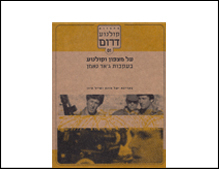 Sivan and his scriptwriter, human rights activist Rony Brauman, re-assemble and manipulate footage originally filmed by Leo Hurwitz for Capital Cities Broadcasting of Adolf Eichmann’s trial by an Israeli court in Jerusalem in 1961. Specifically, Sivan recycles the video footage of the trial into a 16mm film that critiques, not the heinous nature of Eichmann’s crimes, nor the depravity of the man who committed them, but the system of regulation that constructed and judged Eichmann. 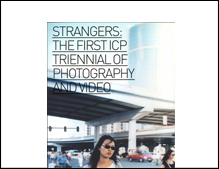 While the video footage was originally filmed as a document o.. In the midst of some melancholy ruminations in Edward Said: The Last Interview (2004), the late literary critic and political commentator remarks that the “useless” strategy of suicide bombing, embraced by some despairing Palestinians since the advent of the second intifada, mirrors the useless and ineffectual policies of the Israeli state. Said’s explication is much more lucid and straightforward than many of the speculations concerning suicide missions that have recently appeared in the popular press. 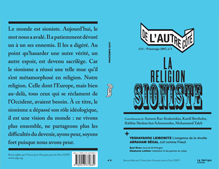 Far too many commentators appeal to vulgar assumptions concerning Islamic conceptions of Jihad, or what the French political scientist Olivier Roy rightly terms “the&nbs..
« La politique est l’art des déductions tordues et des identités croisées. Elle est l’art de la construction locale et singulière des cas d’universalité. » Jacques Rancière, La mésentente, Galilée 1995, p. 188. Be the truth unsaid and the blessing gone If I forget my Babylon Leonard Cohen Cela se passe dans le « centre d’intégration » de la ville de Lod, au cœur d’Israël. Une cérémonie. Des hommes et des femmes sont assis en longues rangées. Beaucoup sont âgés. Devant eux, une femme parle, puis une autre, puis un homme. Un homme traduit. On l&..
Ce qui stupéfie, dans cette longue confession de M. B., officier de la Stasi (1) pendant deux décennies, c’est qu’il n’a toujours rien compris. Prétendre avoir voulu faire le bonheur du peuple sans lui, voire contre lui, passe encore : c’est l’ambition qu’affichent tous les régimes totalitaires. Mais, quinze ans après la chute du mur de Berlin, il en reste convaincu : « Le socialisme l’aurait emporté si nos services avaient été plus actifs. » Actifs, les « soldats du front invisible » – 20 000 agents et 500 000 collaborateurs – ne l’étaient que trop, comme on le voit dans Pour l’amour du p.. Greater Palestine: Matching Demography, Geography, and Heart by Sharif S. Elmusa Political Science Department, The American University in Cairo, 113 Kasr El-Aini Street, Cairo, Egypt Demography matters. Witness South Africa and Iraq, where blacks won majority rule and where Shiites and Kurds are asserting their demographic weight. People, like buildings and roads, like swimming pools and tele- phone towers, are facts on the ground. Today there are more than 8 million Palestinians in Greater Palestine,2 the Palestine that existed before Winston Churchill split it by fiat into Palestine and Transjordan. Their number should double, in 30 years or so, to 16 million. 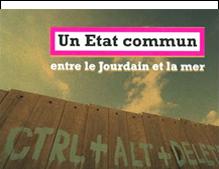 They will need housing; they will need food and roads; they ..
Qui ne souscrirait aux multiples initiatives de Rony Brauman et d’Eyal Sivan dans le champ de la mémoire ? Le film d’Eyal Sivan sur la transmission de la mémoire du génocide en Israël, en particulier dans les établissements scolaires, soulignant des aspects que l’auteur qualifiait manifestement d’excès, présente quelque intérêt pour qui s’ intéresse à la façon dont la mémoire de la 2e guerre mondiale y est présentée, gérée. Il est difficile de savoir, à l’auteur de ces lignes tout au moins, si la thèse de “l’excès”&..
"Warum haben Sie sich nicht gewehrt ? Warum sind Sie in den Zug gestiegen ?" fragte Chefankläger Gideon Hausner im Eichmann-Prozeß von 1961 den Zeugen und Holocaust-Überlebenden Avraham Lindwasser. Der wußte keine Antwort, er schwieg - aus Scham vermutlich. So ist es in der Dokumentation "The Specialist" des israelischen Filmemachers Eyal Sivan zu sehen, der 1999 auf der Berlinale zum ersten Mal gezeigt wurde. Seither hatte er auf der ganzen Welt Erfolg, in Israel lief er zum Holocaust-Gedenktag im Fernsehen. Hausner fragt, Lindwasser schweigt. Das Problem ist nur, daß es ganz anders war. 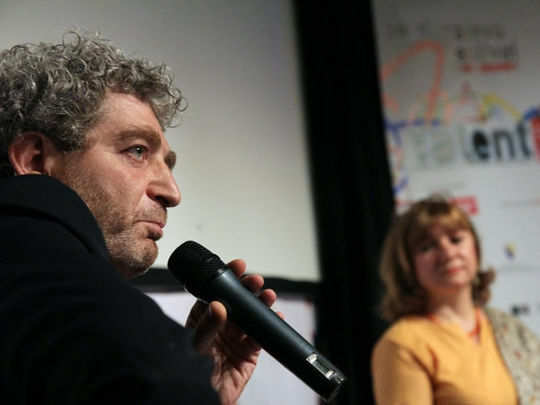 In Wirklichkeit stellte Gideon Hausner seine Frage dem Zeugen und Holocaust-Überlebenden..
Route 181, a controversial epic documentary about the state of relations between Israelis and Palestinians, scoops up plenty of reality on the ground, while history slips through its fingers. Route 181 is one hot latke. Filmmakers Eyal Sivan and Michel Khleifi went on a road trip in the summer of 2002 from just outside Gaza in the south of Israel up into the Galilee in the north. All along Route 181, the original partition boundary established by the UN in 1947 that was abrogated by the 1948 war, they let their videocam roll on the theory that the vox populi would represent a greater truth about Israel than what we've heard to date. Silvan is an Israeli, Khleifi a Palestinian. .. Le film Route 181, coréalisé par un Israélien, Eyal Sivan, et un Palestinien, Michel Khleifi, a été interdit de projection le 14 mars dernier à Beaubourg alors qu’il avait été sélectionné pour clore le festival du Cinéma du réel. Eyal Sivan revient sur cette interdiction et l’histoire de ce film, qui reste un témoignage inédit sur Israël aujourd’hui. CHARLIE HEBDO : Comment est née l’idée de ce film ? EYAL SIVAN : Le projet est né en 2002. La situation en Israël-Palestine s’aggravait de jour en jour. Il n’était question que d’attentats, de ..
Un film de Rony Brauman et Eyal Sivan (1999), à partir des images de Leo Hurwitz, coproduit par Momento !, Bremer Institut Film-Fernshen, Image Création, Amythos Film & TV Production, Lotus Film, France 2 Cinéma, Westdeutscher Rundfunk, RTBF et Noga Communications. 2 h 03 min sur le câble : mardi 25 janvier 2005, 20 h 05 Rediffusion sur le câble : dans la nuit du lundi 31 janvier au mardi 1er février, 0 h 55 Le film Un spécialiste est un drame judiciaire qui dresse le portrait d’un bureaucrate zélé, respectueux de la loi et de la hiérarchie, un fonctionnaire de police responsable de l’anéantissement de plusieurs millions ..
Freedom is hot verbal currency these days and much is claimed or done in its name; it has become what in French would be called a passe-partout, a key to all doors. George W. Bush used the word freedom 42 times during his second inaugural address as US president earlier this year; the speech lasted only 21 minutes which amounts to two freedoms per minute. As an abstract and modern notion (i.e. not physical freedom from slavery or oppression) freedom is a product or indeed aim of the Enlightenment project; it was sloganised during the French revolution in egalité, liberté, fraternité (equality, freedom and familial/national ties) and canonized in the same year in relation to speech as the first amendment to the .. Critique - Ce docu israélo-palestinien montre la haine de part et d'autre et l'état de guerre permanente. Route 181 Documentaire d'Eyal Sivan et Michel Khleifi, 4 h 30. «Un bon Arabe, c'est un Arabe mort.» «Je vais quand même pas pleurer à chaque fois que je vois écrit "mort aux Arabes" sur un mur.» «Il faut les éliminer d'ici. Les payer pour qu'ils partent, débarrasser le pays de ce cancer.» «Le Ghetto ? Ça veut dire le quartier arabe, non ? C'est les juifs qui l'ont appelé comme ça.» «Parle à ma bite.» «Les Arabes doivent comprendre que..
«Route 181» exprime le regard commun de deux cinéastes, un Israélien et un Palestinien, qui traversent leur pays déchiré et refusent de croire en la fatalité de la guerre. Objet de polémique, le film n’en reste pas moins un travail sensible, riche et, quoiqu’on en dise, davantage porteur de paix que de discorde ROUTE 181, FRAGMENTS D’UN VOYAGE EN PALESTINE-ISRAËL de Eyal Sivan et Michel Khleifi Réalisé conjointement par un cinéaste palestinien, Michel Khleifi, et un cinéaste israélien, Eyal Sivan, on pourrait croire ce documentaire à l’abri des polémiques. Ce n’est pas le cas. Sa projection en..
Saggi, libri di storia, ma anche manuali scolastici e documentari israeliani e palestinesi cercano di ripensare al passato e al futuro del conflitto mediorientale oltre le tradizionali visioni contrapposte. Rimettendo in discussione le fonti utilizzate, i soggetti presi in considerazione, le prospettive convenzionali e rivedendo ciascuno i propri miti nazionalisti di fondazione. «Le comunità [nazionali] devono essere distinte non dalla loro falsità/genuinità, ma dallo stile in cui esse sono immaginate», ha scritto lo studioso dei nazionalismi Benedict Anderson, secondo cui le nazioni sono «comunità immaginate» (è il titolo del suo celebre libro, pubblicato da manifestolibri..
Capturing the fragments of a land shattered by politics, history, and colonialism, Route 181: Fragments of a Journey in Israel-Palestine, clocks in at about four and a half hours. 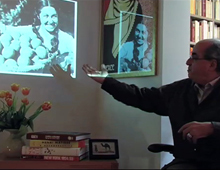 The film's length is epic-worthy, but it allows the filmmakers to present oral history from a wide variety of people who live along the 1947 partition line, while at the same time allow for minutes-long footage of the monotonous grey concrete wall that quietly runs along one of the region's main roads. By portraying both the divide of the physical landscape and that of the humans that inhabit it, viewers receive a fuller understanding of this conflicted part of the world. 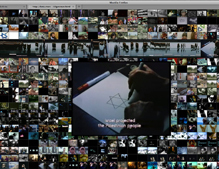 Like the text at the beginning of the film indicates, Route 181, a collaborative e..
Ein Stasi-Major lässt 20 Jahre Tätigkeit im Dienste der Staatssicherheit Revue passieren. Diesen Monolog illustriert der israelische Regisseur Eyal Sivan in seinem Film "Aus Liebe zum Volk" mit nie gesehenen Aufnahmen aus der Gauck-Behörde: Schulungsfilmen, Mitschnitten von Verhören, Verhaftungen, Wohnungsdurchsuchungen. Ein Film über real existierende Kontrollfreaks aus dem Überwachungsstaat DDR und ein spannender Blick auf ein paranoides Regime. 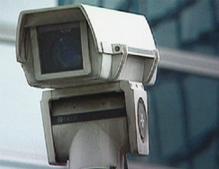 Vertrauen ist gut, Kontrolle ist besser... Jeder ist verdächtig ... das Motto im Überwachungsstaat. Die Stasi hielt den Alltag der DDR im Schach - alles "Aus Liebe zum Volk". So rechtfertigt sich ein Stasi-Mann an seinem letzten Arbeit..
Zu den grundlegenden Veränderungen, die Deutschland in dem knappen Jahr zwischen Mauerfall und Wiedervereinigung erlebte, gehört die Auflösung des Ministeriums für Staatssicherheit der DDR im Februar 1990. Unter den durch die Abschaffung der „Stasi“ arbeitslos gewordenen Beamten befand sich der Major S., der 20 Jahre lang „aus Liebe zum Volk“ den Überwachungsstaat mit aufgebaut hatte. „Aus Liebe zum Volk“ haben die Regisseure Eyal Sivan und Audrey Maurion denn auch ihren Film genannt, der auf Tagebuchaufzeichnungen eben dieses Ex-Stasi-Majors beruht. 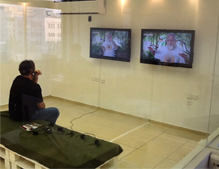 An seinem letzten Tag im Büro berichtet er über sein Leben und die zwanzig Jahre, die er in dieser Institution gearbeitet..
FESTIVAL CINÉMA DU RÉEL Controverse autour du film israélo-palestinien « Route 181 » POUR la première fois depuis la naissance, en 1978, du festival Cinéma du réel, un film a été partiellement déprogrammé. Route 181, fragments d’un voyage en Palestine-Israël, de Michel Khleifi et Eyal Sivan, sera projeté une fois, et non deux, en raison du “malaise” suscité notamment par une scène évoquant Shoah, le film de Claude Lanzmann. Dans un texte, plus de 600 personnes, dont Jean-Luc Godard, Etienne Balibar et François Maspero, protestent contre “cette censure qui ne dit pas son nom”. ..
“Route 181, fragments d’un voyage en Palestine-Israël” a été déprogrammé du Festival du réel. Une décision aussi grave politiquement que culturellement affligeante. L’événement du 26e Festival du cinéma du réel, c’est Route 181, fragments d’un voyage en Palestine-Israël qui l’a créé. Mais sûrement pas de la façon dont ses réalisateurs, le Palestinien Michel Khleifi et l’Israélien Eyal Sivan, l’auraient espéré. Ce jeudi 4 mars, à l’entrée de la salle du Centre Pompidou, un communiqué des deux cinéastes est distribu&eacu..
Lui il pleure. C’est un jeune kamikaze palestinien dans un tribunal militaire. Il aimerait toucher sa mère, lui prendre la main. Mais le contact avec les prévenus est interdit. Sa mère, elle, ne pleure pas. Elle le regarde et lui dit “Rappelle-toi le Jihad.” Lui il pleure. C’est un sculpteur, fils d’une rescapée du nazisme. Il se souvient du calvaire vécu par sa mère. Les traumatismes de la Shoah guident sa vie. Sa mère, elle, ne pleure plus. Elle lui a laissé ce paradis... mais sur la terre des Arabes. Et il n’a “pas de problème avec ça”. Sur les origines du conflit du Proche-Orient, les deux cinéastes ne nous off..
La projection du film de Michel Khleifi et d’Eyal Sivan Route 181, fragments d’un voyage a été annulée à la dernière minute. Le réel, sinistre réel des temps d’intolérance, s’est invité jeudi dernier à l’ouverture du Cinéma du même nom, à Beaubourg, où l’on apprenait que le film de Michel Khleifi et Eyal Sivan, Route 181, fragments d’un voyage en Palestine-Israël ne passerait que ce jeudi 11 à 13 h 30 dans la petite salle, la séance dans la grande salle du dimanche 14 mars ayant été supprimée. Un tract distribué à l’entrée de..
Film-témoignage à Genève - Une tentative pour renouer le dialogue Récits de la frontière En avant-première de la signature du fameux Accord de Genève prévue... à Genève, lundi 1er décembre, un film mixte donne la parole aux deux communautés Le conflit israélo-palestinien a connu récemment deux développements importants. D’une part, les Etats-Unis réduiront leur aide à Israël en 2004 afin, selon l’administration américaine, de pénaliser l’Etat hébreu pour ses activités de colonisation et pour la construction de la barrière de sécurité ; d&rsqu..
La principale projection du film sur la ligne de partage israélo-palestinienne est annulée à Beaubourg. Œuvre conjointe d’un Palestinien, Michel KhIeifi (Cantique des pierres), et d’un Israélien, Eyal Sivan (Un spécialiste), le fiIm Route 181, fragments d’un voyage en Palestine-Israël, diffusé sur Arte le 24 novembre a été un grand moment de télévision. Il devait être aussi l’un des temps forts de la programmation du festival Cinéma du réel, le traditionnel rendez-vous parisien du genre, qui a levé vendredi le rideau de sa 26e édition au Centre Pompidou : une double programmation était m&e.. 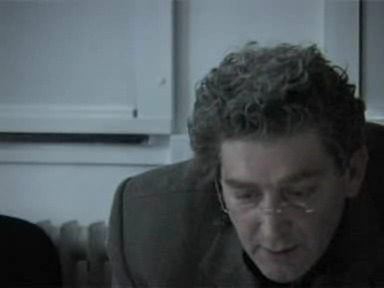 Au nombre des personnages ubuesques qui faisaient tache, interviewés dans le documentaire-fleuve de Eyal Sivan, "Route 181" (co-réalisé avec Michel Khleifi, documentaire, vidéo, 272 minutes, 2003), diffusé sur Arte, le 24 novembre 2003, figurait une Marocaine, au discours incohérent, sur lequel je reviendrai à la fin de cet éditorial. Je me contenterai, à ce stade, de préciser que la logorrhée de cette dame avait la particularité d’être émaillée, à tout bout de champ, des trois mots hébreux d’une expression israélienne très courante : haval ‘al-hazman – qui signifie litt&e..
ENQUÊTE Le long de la frontière et de la guerre Pendant quatre heures trente, Eyal Sivan et Michel Khleifi font parler des Israéliens, juifs, arabes, bédouins, et des Palestiniens. “Route 181”, un film choc, éprouvant mais passionnant Dans l’ordre et parmi tant d’autres : des ouvriers chinois qui ne disent mot ; des contremaîtres israéliens qui affirment qu’ “un bon Arabe est un Arabe mort” ; des pacifistes - tout aussi israéliens - qui militent pour “Vivre ensemble” ; un Bédouin qui tient à s’engager dans Tsahal (l’armée israélienne) ; un “Arabe israé..
Temps fort Lundi, à 21h55 - Arte Documentaire : “Route 181, fragments d’un voyage en Palestine-Israël”, de Michel Khleifi et Eyal Sivan. La résolution du conflit israélo-palestinien ne passe pas par les concepts habituels de vainqueurs et de vaincus mais par une réconciliation des deux peuples. Cinquante-cinq ans après la résolution 181 de l’ONU, qui prévoyait la partition de Ia Palestine en deux Etats, l’un juif, l’autre arabe, et qui fut aussitôt suivie par la première guerre israélo-arabe de 1948, Eyal Sivan et Michel Khleifi ont choisi de suivre cette frontière, restée virtuelle. 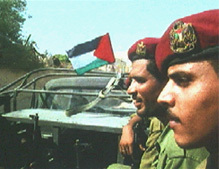 En résulte un lon..
Durant l'été 2002, Michel Khleifi, cinéaste d'origine palestinienne et Eyal Sivan, cinéaste d'origine israélienne, décident de filmer un voyage en Palestine-Israël. Nourris de ce rêve immense d'une cohabitation possible des juifs et des arabes en un même état, ils vont aller là où la blessure historique est la plus vive, là où l'antagonisme actuel s'affirme avec le plus de violence contre un passé commun. 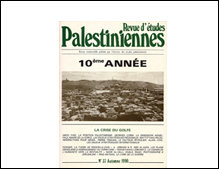 Il faut savoir qu'en 1947, les Nations-Unies, en adoptant la résolution 181, fixent la partition de la Palestine en deux états indépendants. Cette frontière qui pratiquement n&#.. Le film Route 181. Fragments d'un voyage en Palestine-Israël de Michel Khleifi et Eyal Sivan subit depuis sa sortie des attaques multiples… Tout d’abord de nombreuses protestations et menaces arrivèrent à la chaîne ARTE qui avait diffusé le film en novembre dernier. «Nous avons systématiquement des attaques lors de la diffusion de documentaires ou film sur le conflit israélo-palestinien, ce sont toujours les mêmes personnes, des groupes extrémistes pro israéliens, très bien organisés, avec un réseau sur Internet. Il se sont énormément mobilisés lors de la diffusion du film de Sivan et Klheifi, mais personne n&rs..
Agression Ne vous lasserez-vous donc jamais d’attiser la haine en vous faisant le relais complaisant d’Eyal Sivan et de ses comparses, recommandant (2 T) à vos lecteurs un “documentaire choc sur l’annexion de la Palestine”, car, comme l’écrit Antoine Perraud, “il faut que le scandale arrive ?” Vous avez tellement apprécié Route 181 que vous lui accordez un grand article. (...) Et au cas ou le lecteur n’aurait pas compris, vous choisissez comme accroche la citation scandaleuse (du co-réalisateur Eyal Sivan), qui dénonce la “purification ethnique” de la part d’Israël. Bien sûr, vous vous rattraperez en recommandan..
Deux cinéastes, un Palestinien et un Israélien, parcourent leur pays. Un film également présenté en salles à Genève. Après sa diffusion sur Arte, ce documentaire-fleuve (quatre heures trente) va être présenté les 28 et 29 novembre au cinéma CAC Voltaire de Genève et le 1er décembre au Musée de la Croix-Rouge. Sans doute parce qu’il faut avoir un espoir. Le dernier en date s’appelle “Le Pacte de Genève”. L’appel a été entendu. Des personnalités de tous bords signent. Mais comment y croire, à ce miracle, quand on voit ce film de Michel Khleifi, Palestinien, et d’Ey..
(...) Précis, efficaces, polémiques éventuellement, ces portraits ont surtout fonction d’information. Le cinéma documentaire proprement dit, d’ambition autre, plus attentif aux choses de la vie et aux gens ordinaires, on en a distingué la volonté et la présence dans Le Carrefour. Mais il s’impose plus encore dans Route 181, un film fleuve coréalisé par l’Israélien Eyal Sivan et son aîné le Palestinien Michel Khleifi, deux cinéastes dont les films ont été projetés et primés dans plusieurs festivals internationaux. Sous-titré Fragments d’un voyage en Palestine-Israël, le film a é..
Grand format - Route 181 TT Fragments d’un voyage en Palestine-Israël De Michel Khleifi et Eyal Sivan (France/Allemagne/Belgique, 2003). 270 mn. Pendant l’été 2002, deux cinéastes, l’un palestinien, l’autre israélien, ont suivi la ligne virtuelle dessinée par les Nations unies en 1947, qui devait séparer la Palestine en deux Etats distincts. Deux mois de voyage pour recueillir ensemble la parole d’anonymes sur leur passé, sur leur avenir. Un documentaire qui fait l’effet d’une bombe. 21.55 ARTE Route 181 Fragments d’un voyage en Palestine-Israël TT Documentaire de Michel Khleifi et Eyal Sivan (France/Allemagne/Belgique, 2003), 270 ..
From documenta to the document: a German return to truth and reconciliation by Charity Scribner Rethinking Marxism, Volume 16, Issue 1 January 2004 , pages 49 - 56 Abstract : Documenta 11, the international platform of contemporary art and ideas, was held in Kassel, Germany in 2002. 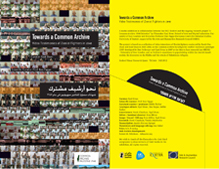 Following its aim to “activate the space of public art as a site for the reconciliation of current political conflicts,” the curators designated “Truth and Reconciliation” as one of the platform themes. 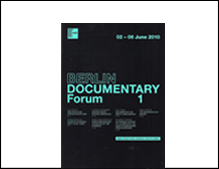 This essay evaluates Documenta's success at staging this theme, and addresses the criticism that the curators' emphasis on public discourse diminished the aesthetic effects of the art shown. It elaborates a comparison bet..
"The Specialist" on the Eichmann Precedent: Morality, Law, and Military Sovereignty Author(s): Benjamin Robinson Source: Critical Inquiry, Vol. 30, No. 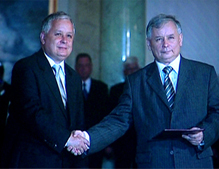 1 (Autumn, 2003), pp. 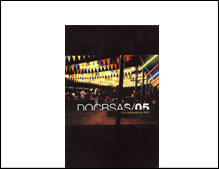 63-97 Published by: The University of Chicago Press 1. Law and the Folk-Revisiting a Redefinition The trial of Adolf Eichmann in 1961 and Hannah Arendt's report on the trial, Eichmann in Jerusalem, continue to draw legal scrutiny and provoke international political controversy decades after the judgment was pro- nounced. In the pages of this journal, Shoshana Felman invoked the Dreyfus Affair as a legal and cultural precedent for the epochal Eichmann trial.' She argues that the unjust and anti-Semitic prosecution of Captain Alfred..
Our lives get nourishment from our meeting certain persons. 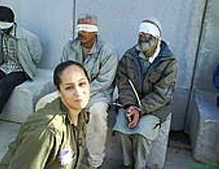 One such was professor Yeshayahu Leibowitz, whom l discovered some years ago, and rediscovered last year at a time when l was trying to understand what motives led the Israeli government to conceive the strategy of accumulated imprisonment that the occupation is : imprisonment within the territories, in the cities, in the houses ; imprisonment of political power and of the mind ; imprisonment through oppression, humiliation and denial ; imprisonment of all forms of culture ; geographical imprisonment, in jails, under tents ; imprisonment in the status of terrorist, based on manichean and manipulative representations, These elaborate forms of destruction of a population through t..
Alors qu'Arafat est assiégé à Ramallah, Israël a entrepris la construction d'un mur supposé empêcher les attentats. Deux cinéastes, l'un israélien, l'autre palestinien, filment cette "absurdité". De notre envoyé spécial Slimane Zeghidour. On dirait un décor de cinéma. Le cadre idéal pour un film d'Hollywood bien manichéen, du genre Terminator ou la Tour infernale. Il n'y manque rien, ou presque : amas de ruines fumantes, frimas ocre, débris de maisons mêlant poutrelles, meubles et pans de murs abattus, bulldozers fouaillant le sol, chars en position de tir, soldats en état d'..
Mordecai Lee, (2002) University of Wisconsin-Milwaukee, Milwaukee, Winconsin, USA "Management history as told by popular culture: the screen image of the efficiency expert", Management Decision, Vol. 40 Iss: 9, pp.881 - 894 MCB UP Ltd Abstract: This exploration of management history focuses on mass entertainment media to determine the history of the efficiency expert in popular culture. 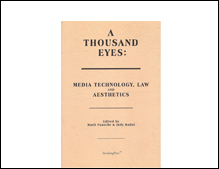 It reviews the history of the image of the efficiency expert in film and on American-produced television programs. The review shows that this profession is a universal and pervasive one, permanently embedded in our culture and catholic in background, occupation and workplace. It is generally a man’s job. The most significant histo.. Sometimes bigger is better - but the project has to be worth it. That's the lesson learned by Werner Duetsch of Cologne, Germany pubcaster ARD/WDR. He's commissioning editor for the strand 'Dokumentarfilm' and helped spearhead The Specialist. The documentary is a refashioning of the well-known and, as it happens, well-recorded 1961 trial of Adolf Eichmann, the SS colonel who kept the trains arriving on time at the Nazi death camps. Duetsch says The Specialist was an exceptional project for several reasons, not least of which was the level of international collaboration. Twenty sources contributed the 2 million (US$1.9 million) needed to make the 128-minute documentary, executive produced by Paris-based Eyal Siva..
PEOPLE ARE FASCINATED by what other people really do in their everyday lives. We like to compare ourselves with others and ask what we would do in similar situations. TV executives know this, and so they come up with shows like Cops, The Real World and Survivor, commercialized versions of so-called reality that are ultimately detached from anything resembling real life. Anthropological films, on the other hand, usually involve a single person, a camera and the world, taking viewers straight into the dark corners of human experience, instead of manufacturing human experience and bringing it straight into the living room. "We are bombarded by fantasy," says Sharon Simpson, co-founder of the Santa C.. Since you presumably know the basics about the Holocaust--if you don't, I would suggest that a movie review is no place to learn them--I will jump to the main question about The Specialist, a new documentary that focuses on the trial of Adolf Eichmann. What can we gather from this film that isn't in the books? The answer lies in the way The Specialist was made. It is based exclusively on footage shot at the trial, which began on April 11, 1961, continued through sentencing on December 15 and was videotaped in its entirety. Such comprehensiveness was unusual but not surprising. Having organized an event that was, in the most sober sense of the term, a show trial, the Israeli government made a complete record of what was ..
1961 wurde Israel des Naziverbrechers Adolf Eichmann habhaft, stellte diesen in Jerusalem vor Gericht und ließ den gesamten Prozess von einer amerikanischen TV - Produktionsfirma mitfilmen. Mehrere Jahrzehnte verschwand das Material in diversen Archiven, bis der engagierte Filmemacher Eyal Sivan davon hörte und sich auf die Suche machte. Das Ergebnis seiner mehrjährigen Recherchen und einer aufwendigen technischen Bearbeitung legte er jetzt mit dem Dokumentarfilm “Ein Spezialist” vor : Vorhang auf : Zu (für die meisten Ohren) dissonanter 12- Ton-Musik wird der Gerichtssaal vorbereitet und wir vernehmen die ersten Worte aus dem Plädoyer der StaatsanwaItschaft, die den Angeklagten aIs bl.. The Specialist (Eyal Sivan ; France, Israel, Germany, Belgium, Austria, 1998,128 min.) AdoIf Eichmann, SS Lieutenant Colonel, a specialist in the transportation of freight via railroad ; was hanged in Israel on May 31, 1962, aged fifty-five. This film traces Eichmann’s life, ending with his trial in Jerusalem for crimes against humanity, and other offenses. 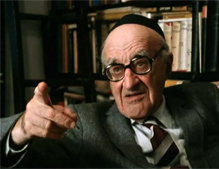 Eichmann was born in the Rhineland, 1906, and as a child moved with his family to Linz, Austria. From aged seventeen, he worked as a miner, trainee in electrical construction and salesman. At twenty-six, he joined the Nazi party and the SS. 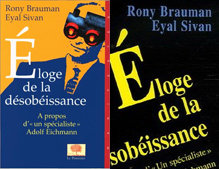 The next year, as Hitler took power, Eichmann returned to Germany, served in the army for a year, followed with special SS trainin..
Rony Brauman, ancien président de Médecins sans frontières, et le documentaliste Eyal Sivan ont sélectionné deux heures dans les archives filmées du procès Eichmann, en 1961, à Jérusalem. Ces images dressent le portrait d’un criminel moderne, modèle d’obéissance à un système, et posent la question de tous les génocides. “Un spécialiste” sort dans une quinzaine de salles. Accompagné par un essai, il ne manque pas de renvoyer au texte qu’Annah Arendt écrivit au moment du procès. Eichmann, criminel “banal” du nazisme “Un spécialiste”, le..
Il n’avait tué personne de ses mains. Mais, en fonctionnaire soumis, Adolf Eichmann avait été un rouage zélé de la machine de mort nazie. “Un Spécialiste” est une réflexion exemplaire sur la banalité du mal absolu. 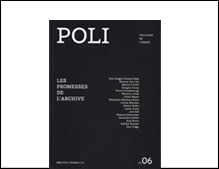 Composé exclusivement d’images enregistrées lors du procès d’Adolf Eichmann, “Un Spécialiste” n’est pas un film sur le procès Eichmann. C’est un portrait, celui d’un fonctionnaire, assurément pas plus zélé qu’un autre, bien noté par ses supérieurs, fier seulement de son expertise, soucieux que rien ne puisse lui être reproch&ea.. Portrait d’un "criminel de bureau" Auteurs d’un film et d’un livre sur le procès du célèbre nazi, Rony Brauman et Eyal Sivan étaient hier à Bordeaux. L’occasion d’un parallèle avec le procès de Maurice Papon sur le thème de "l’éloge de la désobéissance". "Un spécialiste", le film de Rony Brauman et Eyal Sivan bâti sur les images d’archives du procès d’Adolf Eichmann, un des principaux artisans de l’extermination des Juifs d’Europe, n’aura pas occupé longtemps les écrans de l’UGC puisque la dernière séance avai..
Esprit Mai 1999 Le procès Eichmann vu par Rony Brauman et Eyal Sivan Par Christian Delage* On ne s'en rend pas compte tout de suite. Il faut quelque temps pour le sentir, même confusément : c'est un cinéaste, Leo Hurwitz1, qui a filmé le procès Eichmann. Formé à l'école documentaire dans l'Amérique des années trente, il participa à l'aventure des intellectuels et des artistes engagés dans la Film and Photo League, puis dans le collectif de production Frontier Films. Il fut le collaborateur, en 1936, de Pare Lorentz, qui participa, après la guerre, à la réalisation d'un montage intitulé Nure..
UN SPECIALISTE. En 1960, Adolf Eichmann -responsable sous le Ille Reich de l'émigration forcée, puis de la déportation des Juifs, des Polonais, des Slovènes et des Tsiganes d'Europe vers les camps d'extermination, partisan d'un continent Judenrein ("nettoyé de ses Juifs"), artisan de la Solution finale- est enlevé en Argentine par les services secrets israéliens. L'année suivante, il est jugé et condamné à mort à Jérusalem au cours d'un procès qui dura neuf mois. L'événement fut intégralement filmé par plusieurs caméras dissimulées derrière des ..
Un spécialiste, portrait d'un criminel moderne. En 1991, Rony Brauman et Eyal Sivan exhument les archives filmées du procès du nazi, qui eut lieu à Jérusalem, en 1961. Faute d'être cinéastes, ils ne les ont exploitées que pour illustrer une seule idée : l'éloge de la désobéissance En 1991, le documentariste Eyal Sivan et Rony Brauman, alors président de Médecins sans frontières, retrouvent les 350 heures d'enregistrement filmé du procès du criminel nazi Adolf Eichmann, qui eut lieu à Jérusalem en 1961. DE CES ARCHIVES, les auteurs ont fait un film de plus de deux heures accompag..
ON PEUT RÉSUMER L'HISTOIRE D'UN SPÉCIALISTE comme celle de trois rencontres. Entre deux auteurs, entre ces auteurs et un livre de philosophie, entre ces auteurs, ce livre et un exceptionnel corpus, 350 heures d'archives longtemps occultées. Eyal Sivan (1964), le réalisateur, "dissident israélien", iconoclaste à la manière des nouveaux historiens (Tom Seguev), n'a eu de cesse dans ses films d'interroger le roman mémoriel national au nom de l'Histoire. Aqabat jaber (Vie de passage, 1987 ; Paix sans retour, 1995), lzkor, les esclaves de la mémoire(1990) et ltgaber, le triomphe sur soi(1993, entretiens avec Yeshayahou Leibovitz)... "Quand j&..
Si l’âme humaine aime le jour, il lui arrive aussi d’aimer la nuit avec ardeur. Face au Mal l’homme est nu, Aussi s’est-il, depuis toujours, efforcé de nier l’innommable et d’en faire une pathologie de l’histoire ou de l’âme ou d’en disqualifier les manifestations au nom d’un idéal qui, pourtant est démenti chaque jour. Car si l’âme humaine aime le jour, et c’est bien là le principal enseignement de ces dernières décennies - il lui arrive aussi d’aimer la nuit avec ardeur. Il existe des sacrements du Mal comme il existe des sacrements du Bien. Nous ignorons parfois qu’à nos côt&ea..
Pendant deux heures, sans un mot de commentaire, Adolf Eichmann parle. De ces monologues, filmés au cours de son procès, Rony Brauman et EyaI Sivan ont fait un document choc. Il nous manquait ses regards, sa voix, ses rictus. Et ses explications. Les voici, et le personnage Eichmann en est transformé. L’extraordinaire documentaire de Rony Brauman et Eyal Sivan permet de comprendre d’un seul coup, de plein fouet, ce que, seule à l’époque, Hannah Arendt avait compris, déclenchant une violente polémique restée pour beaucoup, obscure. Tout s’éclaire en écoutant l’ancien chef du bureau IV-B-4 de la Sécurité intérieure ..
N’hésitons pas à le dire, Un spécialiste est peut-être le film le plus important qu’on ait fait sur la “mécanique” hitlérienne. C’est d’abord un document historique de première grandeur, Ie seul procès d’un criminel nazi qui ait été intégralement filmé. Mais la n’est pas son intérêt essentiel. Car il y a plus important que l’aspect historique ; c’est la question, éternellement d’actualité, du choix entre la fidélité a sa conscience et l’obéissance aveugle aux règles : à travers le cas Eichmann, - “homme effro.. 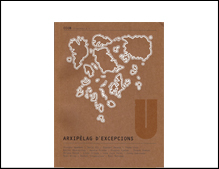 The Specialist Un Specialiste (Documentary -- B&W -- French) By Eddie Cockrell An Intermedia Arc presentation of a Momento production, in association with BIFF (Germany), Lotus Films (Austria), Image Creation (Belgium), Amythos (Israel). 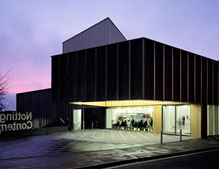 (International sales: Arcapix & Intermedia Arc Pictures, London.) Produced, directed by Eyal Sivan. Screenplay, Sivan, Rony Brauman. 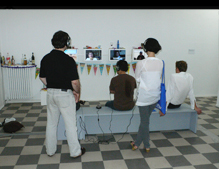 (Hebrew, German, English and French dialogue.) "The Specialist," from Israeli-born, Paris-based Eyal Sivan, is a singularly assured, sure-to-be-controversial documentary that recasts footage from the 1961 Jerusalem trial of Nazi war criminal Adolf Eichmann into a hypnotic dance of bureaucratic stubbornness, highlighting the very ordinariness ..
Am 12. Februar wird Eyal Sivans Eichmann-Film "Ein Spezialist" auf der Berlinale gezeigt. Der Regisseur kritisiert die Instrumentalisierung des Holocausts in Israel Das waren meine inzwischen mir angelernten Fähigkeiten auf dem Gebiet des Auswanderungswesens, des an sich sehr komplizierten Gebietes. Ich hatte damals sämtliche Bestimmungen der Einwanderungsländer, sämtliche Höhen der Vorzeigegelder, sämtliche paßtechnischen und sonstigen Schwierigkeiten im Kopf, und so konnte ich sehr wohl um jene Zeit auf diesem Gebiet als Spezialist gelten. Der Mann ist 55 Jahre alt, eher unscheinbar, mittelgroß, sehr schlank, mit dunklem, schütterem Haar. Er trägt einen Anzug mit Kra..
“Itgaber”ou le triomphe sur soi : voilà ce que propose Yeshayahou Leibovitz, 90 ans, un des plus grands chercheurs d’Israël, et parmi les plus libres. "Nous avons gagné la guerre des Six Jour, mais nous avons perdu le septième", avait lancé un jour Yeshayahou Leibovitz avant de demander qu'lsraël "se libère des territoires occupés". Venu en Palestine en 1932, avant même la fondation de l'Etat hébreu, Ie professeur Leibovitz, n'a cessé d'être un homme à part dans son pays, s'élevant contre "la corruption" du peuple juif qui a suivi l'occupation de la Cisjordanie et de la ..
Un Spécialiste Rony Brauman prépare un film sur le procès Eichmann Sa méticulosité frappe le regard. Dans la cage de verre qui l’isole de la cour, Adolf Eichmann époussette son bureau. L’homme au crâne dégarni chausse en alternance ses deux paires de lunettes en écaille. Il dispose près de lui ses épais dossiers, précieux auxiliaires d’une mémoire défaillante. Il les consulte quand le procureur ou un juge l’interroge, et qu’il s’applique à répondre, la joue déformée par un tic nerveux. 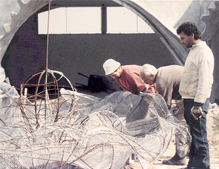 Jérusalsem, 1961. Dans la Maison du peuple transformée en tribunal commenc..
Rony Brauman, praticien et théoricien de l'action humanitaire, et Eyal Sivan, documentariste engagé, mettent en scène les archives du procès Eichmann. Le livre d'Hannah Arendt est utilisé comme « scénario » C'était en 1986, et Rony Brauman, président de Médecins sans frontières, affrontait une tragédie de plus, les déplacements forcés de populations en Ethiopie. Travaillé par le doute sur le fonctionnement de ces organisations humanitaires dont il est l'un des animateurs les plus actifs et les plus respectés, il découvre un livre écrit vingt-cinq ans plus tôt par la philosophe am&ea..
La technique permet un saut qualitatif dans les puissances du virtuel C'est une boîte de Pandore qu'ont ouverte Rony Brauman et Eyal Sivan avec leur film : leurs interventions sur les images risque de faire « jurisprudence », ouvrant la voie à des manipulations menées par des utilisateurs moins désintéressés que les auteurs de L'Expert, au service de causes autrement problématiques. A cela, Brauman et Sivan répondent qu'ils refusent d'être « naïfs » face à la prétendue objectivité des archives. Ils ont évidemment raison : on sait depuis longtemps qu'il est possible d'utiliser les m&e..
... Le 11 mai 1960, les services secrets israéliens kidnappent Otto Adolf Eichmann en Argentine, où il coule des jours paisibles. Le 11 Avril 1961, il comparait devant le tribunal de Jérusalem. Ce procès est organisé comme un véritable spectacle. C’est une des dimensions qui a retenu l’attention d’Eyal Sivan et de Roni Brauman. Crimes contre le peuple juifs crimes contre l’humanité et crimes de guerre pendant toute la durée du régime nazi sont les plus graves des quinze chefs d’accusation qui pèsent sur lui. Eichmann dirigeait la section B-4 du bureau IV du Reichssicherheitshauptamt, L’Office central de sécurité du ..
Un parti pris pour cette soirée thématique sur la Ville sainte proposée par le réalisateur israélien Eyal Sivan : quatre films d'auteur, à contre-courant Quoi de plus difficile qu'une soirée sur Jérusalem, en ce moment même, alors que la ville est de nouveau sous les feux de l'actualité, qu'Israël vient de confisquer de nouvelles terres arabes et que se précise le projet de construction du "Grand Jérusalem" avec l'expropriation de Palestiniens ? Pour Eyal Sivan, auteur du remarqué Izkor, les esclaves de la mémoire et d'un long film-entretien avec le philosophe et théologien Yeshayahou Leibovitz, il ..
En confiant à Eyal Sivan la compositIon d'une soirée thématique sur Jérusalem, nul doute qu'ARTE — qu'on a connu plus circonspecte dans son traitement de la question israélo-palestinienne — a fait le choix du non-conformisme. Au final, un tableau désespérément univoque. Eyal Sivan est un jeune réalisateur Israélien dont la première œuvre — Aqabat Jaber (1987) — marquait déjà fortement sa désolidarisation d'avec la politique de l'Etat israélien. Qu'on trouve dans toute société des gens pour ranger semblable attitude sous la rubrique "félonie" laisse supp..
Un cinéaste israélien engagé pour la paix a filmé les "réfugiés" du plus grand camp palestinien, aujourd'hui en territoire autonome C'EST à quelques kilomètres de Jéricho, tout près de la mer Morte. Un immense camp, presque une ville, une sorte de chantier Indéterminé où le passé lutte contre l'avenir. On ne saurait dire ce qui va l'emporter, des maisons abandonnées et de celles qui poussent, des ruines ou des nouvelles constructions. Son d'une musique sur une radio arabe, gosses jouant dans des carcasses de voitures, arbre chétif sur une place, ruelles en forme de cloaques... ..
Une programmation particulièrement intéressante caractérisera les deux semaines télévisuelles à venir (voir Télé-Scopage). Nécessité faisant loi, notre choix s'est arrêté sur deux documents impressionnants pour des raisons diamétralement opposées, mais ayant pour commune caractéristique de concerner Israël dans sa brûlante actualité, tant sociale que politique. Commençons par le plus édifiant qui, sous la forme du dernier documentaire signé Eyal Sivan, se situe dans une logique de programmation par laquelle ARTE commence à flirter dangereusement avec l'obscénité, Apr..
Aqabat Jaber, est un camp de réfugiés palestiniens qui se situe en Cisjordanie, à 3 km de Jéricho. En 1948, il accueillait 65 000 réfugiés palestiniens -Aujourd'hui, ils sont 3000 à vivre là, mais cette fois-ci sous administration palestinienne. En 1987, Eyal Sivan avait déjà tourné un reportage là-bas : Aqabat Jaber Vie de passage. Huit ans plus tard, il y est retourné, parler avec les habitants de "la catastrophe de 1948" et du droit au retour. La plupart des Palestiniens qu'il a filmés pensent que le retour est inévitable, et ils le souhaitent ardemment. Ils revendiquent leur identité de réfugiés..
"Izkor", un film-critique d'Eyal Sivan sur le culte envahissant du souvenir en Israël. En hébreu, "lzkor" signifie "souviens-toi". C'est le premier mot d'une des prières juives les plus importantes lues à tous les petits Israéliens lors de l'Izkor. la journée de la Mémoire. Avril est d'ailleurs le mois le plus important pour les israélites, jalonné de multiples fêtes et commémorations. En 1990, Eyal Sivan a filmé les préparatifs de ces fêtes dans les écoles. L'occasion pour ce réalisateur israélien de se souvenir de son enfance et de sa vie d'écoli..
Qu'est-ce qui unit les Israéliens? Quel est le ciment de l'Etat? Pour répondre à ces questions fondamentales, Eyal Sivan, sabra (né en Israël), a fouillé dans sa mémoire, est revenu dans les écoles de son enfance, sur les lieux où se forgent les consciences des futurs citoyens. Il s'est souvenu des leçons d'histoire qui ont bercé sa jeunesse. A ce titre, le mois d'avril est particulièrement emblématique. Quatre célébrations s'y succèdent : la Pâque juive, qui marque la sortie d'Egypte des esclaves hébreux, le Jour de la Commémoration de la Shoah et de l'Héroïsme, le ..
En hébreu, "Izkor" signifie "souviens-toi". C'est le premier mot d'une des prières juives les plus importantes lues à tous les petits Israéliens lors, de l'Izkor, la journée de la Mémoire. Avril est d'ailleurs le mois le plus important pour les israélites, jalonné de multiples fêtes et commémorations. En 1990, il a filmé les préparatifs de ces fêtes dans les écoles. L'occasion pour le réalisateur israélien Eyal Sivan de se souvenir de son enfance et de sa vie d'écolier, des cours sur l'Holocauste, le sionisme, l'histoire et les combats d'Israël… Et aussi d.. Le nouveau film documentaire d’Eyal Sivan, consacré au professeur Leibovitz, remue ciel et terre. Pour qui la patiente curiosité d’écouter un homme de quatre-vingt-dix ans s’exprimer dans une époustouflante seconde jeunesse, le spectacle vaut les 160 minutes de projection. Construit en deux parties, un peu comme un cours théorique et des travaux pratiques, ce film fait par un Israélien sur un Israélien s’adresse, en fait, à quiconque se pose quelques questions fondamentales sur sa propre conscience, sur l’Etat, sur le droit, sur la responsabilité. Ce qui rend le film d’Eyal Sivan parfaitement original, c’est évidemment la p..
Qu'est Yeshayahou Leibowitz ? Un visionnaire ? Un prophète au petit pied ? Un grand savant ? Un traître ? L'un et/ou l'autre ? A chacun de forger sa propre idée sur l'enfant terrible d'Israël, documents à l'appui. Eyal Sivan vient justement de lui consacrer Itgaber, un film d'entretiens. La première partie, De la science et des valeurs, constitue un éloge de la volonté. "L'homme ne sera un être libre,martèle le professeur Leibowitz, qu'à condition de s'être vaincu et de toujours se dépasser. "La deuxième partie, De l'État et de la loi, illustre pleinement le paradoxe Leibowicien. Voici u.. 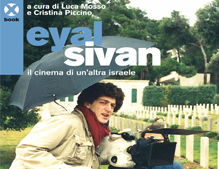 Le cinéaste Eyal Sivan avait déjà réalisé "Izkor" film controversé et passionnant sur le système éducatif israélien. Aujourd'hui, il nous propose deux cassettes vidéos sur le fameux professeur Leibowitz. 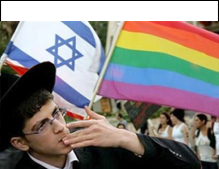 Le document est un sondage d'interviews, de débats houleux à la Knesset _où le philosophe se fait qualifier de "figure tordue du juif galouthique"_ de meetings et manifestations de la gauche israélienne. On y voit le professeur âgé de 92 ans gesticuler, haranguer la foule, et lui jeter en pâture ses provocations inacceptables : "Depuis la guerre des Six Jours, l'Etat d'Israël n..
Pendant la guerre du Golfe, Eyal Sivan a filmé les ouvriers Israéliens et palestiniens sur le chantier du premier Luna Park du Proche-Orient. Comme une métaphore d'Israël. "Fais-nous une fleur, dit l'ouvrier palestinien, tout le monde en fait une." Juifs et Arabes construisent chacun une fleur de métal pour un rêve en béton. Nous sommes en pleine guerre du Golfe, près de Tel-Aviv, sur le chantier du premier Luna Park du Proche-Orient. Des ouvriers palestiniens et israéliens travaillent côte à côte. Ils ne se parlent pas. "J'évite de leur tourner le dos", dit un conducteur d'engins israélien. La nuit, les miss..
Eyal Sivan filmait le chantier d'un étonnant Luna Park en plein désert israélien, alors que les missiles irakiens menaçaient. Une métaphore sur la société israélienne offerte par Planète avant FR3 le 13 novembre. En pleine guerre du Golfe, le réalisateur Eyal Sivan ressent le besoin impérieux de partir pour Israël. Pour y tourner un document lié à l'événement. "Je ne voulais surtout pas faire de journalisme, explique-t-il. Mais travailler autour d'un événement ultra journalistique et médiatisé à outrance. J'ai eu la chance d'avoir la confiance de FR3 qui m'a laiss&..
Il y a quelques mois, Eyal Sivan, jeune réalisateur israélien de 27 ans, mettait les pieds dans le plat. L’Etat hébreu est-iI un Etat comme les autres ? s’interrogeait-il dans Izkor, un film sur l’étouffant système d’éducation de son pays, trop axé, selon lui, sur le culte de la souffrance du peuple juif. Ce nationalisme, démontrait-iI, rend les Israéliens “esclaves de la mémoire”, et meilleurs soldats que bons citoyens. Quelques jours après le début de la guerre du Golfe, il se précipite en Israël. A dix kilomètres de Tel-Aviv, il tombe, en pleine guerre, sur la construction d’un Luna Park..
Après “Izkor”, un documentaire fort sur les Israéliens et le culte du souvenir, Eyal Sivan est retourné dans son pays pour y filmer la guerre du Golfe. Par hasard, il y découvrit un chantier-symbole, Israland. Un Disneyland Israélien, théâtre du conflit israélo-palestinien. Dix jours après le début de la guerre du Golfe. Eyal Sivan, jeune réalisateur israélien vivant en France depuis six ans, part pour Israël, son “laboratoire à images”. Il ne sait pas encore ce qu’il va filmer et s’attend à trouver Tel-Aviv en ruines : “En France on avait droit à un tel délire sur les six ch..
WELL-DESERVING of mention in the same breath as Ophuls is Eyal Sivan, whose Izkor: Slaves of Memory created more local controversy than even the annual squabbles about which Israeli short films were in competition and why not. 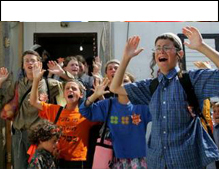 What Sivan's film shows is four weeks in Israel's educational system, the four weeks which cover Pessah, Holocaust Day, Memorial Day for Israel's Fallen and Independence Day. Sivan brings his camera into the classroom, talks to children, interviews teachers and obtains some predictably radical comments from Prof. Yeshayahu Leibowitz (to be the subject of Sivan's next film, which will begin shooting in September). Even granted the disputatious Leibowitz's presence, why the controversy ? Because..
En Israël, au printemps, quatre célébrations fondamentales se succèdent : Pessah, fête de la liberté. La Pâques juive qui marque la sortie d'Egypte des esclaves hébreux. 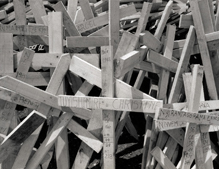 Le "Jour de la commémoration de la Shoah et de l'Héroïsme", à la mémoire des Juifs victimes du génocide. Le "Jour de l'indépendance", fête nationale. Cette période a été choisie par Eyal Sivan comme cadre temporel de son film lzkor. 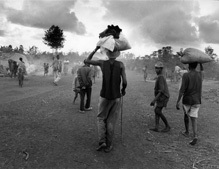 Les esclaves de la mémoire, qui a été tourné au mois d'avril 1990. Ce très beau film montré à la télévision franç..
"IZKOR souviens-toi". L'injonction rituelle s'est, en Israël faite politique. De "Pessakh", fête de la sortie d'Egypte au "Jour de l'Indépendance" en passant par le "Jour de commémoration de la Shoa et de l'Héroïsme" et le "Jour de commémoration des soldats de Tsahal morts pour la patrie", le mois d'avril concentre l'essentiel du discours israélien sur la mémoire. C'est à cette instrumentalisation de la mémoire juive et singulièrement de celle du génocide qu'Eyal Sivan, cinéaste israélien, a consacré son film "lzkor Les Esclaves de la Mé..
Gilbert DENOYAN: Bonjour, Zappinge, avec la collaboration d'Annick Cojean, du Monde. "IZKOR" est un film réalisé par un jeune Israélien de 27 ans. "IZKOR, Les Esclaves de la Mémoire" est un film dérangeant. "IZKOR" va, c'est certain, provoquer des polémiques dans la communauté Juive, mais aussi au-delà. "IZKOR", c'est ce soir sur FR3, à 22h50 dans le cadre d'"Océaniques". Alors bonjour à vous, Eyal Sivan, vous étes le réalisateur. Bonjour aussi à Alfred Grosser, qui présentera ce film. Vous êtes un petit peu d'ailleurs, je crois, à l'origine quelq..
Réalisé par Eyal Sivan. 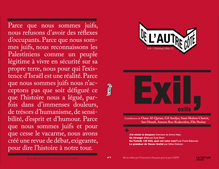 Mention spéciale du Jury et Prix Procirep au Fipa,1991. A travers ses souvenirs d'enfant et d'adulte, le réalisateur Eyal Sivan s'interroge sur la société israélienne et pose la question : aujourd'hui, qu'est-ce qui unit les Israéliens et les empêche d'avoir un regard critique sur eux-mêmes ? La mémoire et son utilisation, notamment celle du génocide et des guerres d'Israël, sont les thèmes centraux de ce document, tourné au mois d'avril 1990. C'est à cette période que se succèdent quatre célébrations fondamentales en Israël : Pessah, la P&..
Dans son documentaire "Izkor", présenté dans "Océaniques", le jeune réalisateur israélien Eyal Sivan analyse, en s'appuyant sur ses propres souvenirs d'écolier, le mode de transmission de l'histoire des juifs en Israël. Un point de vue iconoclaste dans le film par les interventions du penseur Yeshayahou Leibovitz. L'école ne dispense pas que du savoir, elle est également le lieu où se forge le consensus national. 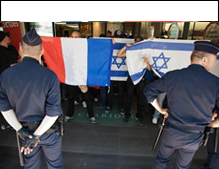 Ce qui est vrai pour la France (la Marseillaise de Chevènement ou les cours d'histoire de la IIIe République) ou pour les Etats-Unis (le salut au drapeau), l'est également en Israë.. Le réalisateur israélien Eyal Sivan dénonce le culte doloriste de la mémoire juive, célébré par l'Etat hébreu. "Izkor" écorchera bien des consciences, bonnes ou mauvaises. Leibovitz : " Une voie mène de l'humanité à la bestialité : le nationalisme." L'écrivain Gabriel Matzneff notait dans son Journal à la date du 9 juillet 1970 : "Je déjeune avec Pierre Boutang, furieux de ma "libre opinion" pro-palestienne parue avant-hier au Monde. Sa mauvaise conscience d'ancien antisémite ne trouve de paix que dans la fantasmagorie d'un "Royaume juif". (1..
La question de la "mémoire" tient une place centrale dans le fonctionnement de la société israélienne. Les mécanismes qui l'entretiennent et la reproduisent occupent au sein de celle-ci une fonction organique essentielle. Edifiée sur les "mythes fondateurs", elle a souvent suscité concernant la "question d'Israël", un débat articulé autour de l'opposition entre les "mythes" et les "réalités" en Israël. Fausse problématique qu'esquive la vraie question : celle de l'articulation réelle du mythe et de la réalité : en d'autres termes, celle de la fonction .. Le 3° FIPA de Cannes fut une belle occasion de revoir notre histoire. Voyage à travers ces documentaires qui parlent tout autant de nous. Coïncidence du voyage et des images, le premier film vu à mon arrivée au Palais des Festivals devait se révéler symptomatique : Izkor les esclaves de la mémoire. Izkor signifie en hébreux Souviens-toi ! ou Il se souviendra. C'est sur cet impératif imposé aux enfants d'Israël que s'interroge le réalisateur Eyal Sivan, israélien lui-même, et qu'il interroge en contrepoint le philosophe Yeshayahou Leibovitz. "En vérité, intellectuellement, la Shoah est un problème p.. Comment un jeune, cinéaste israélien juge-t-il son pays, comment réagit-il à l'enseignement qui lui a été imposé, comment conçoit-il une éducation allant au-delà de la mémoire collective du peuple juif, mémoire qui a façonné le pays? Autant de questions que se pose -et pose - Eyal Sivan dont le film "Izkor" (Souvenez-vous passera sur FR 3, suivi d'un débat, le 25 mars. "Tous les enfants chantent "Esclaves nous étions, aujourd'hui nous sommes libres". Mais sommes-nous libres ou esclaves de la mémoire", se demande-t-il. Humble, il n'apporte aucune réponse, seulement de..
Cinéma Méditerranéen Montpellier - Actes des 9e rencontres Edition fédération des œuvres laïques de l'Hérault Ciné-club Jean Vigo SOUS LA BOMBE DU TEMPS... Avec l'Israélien Eyal Sivan, pas de doute possible, nous sommes au cœur de la Méditerranée... Dans un espace tout d'abord, une géographie spécifique et contradictoire : cette mer, ouverte à tous les départs, aux ailleurs infinis, est une mer fermée, un espace clos dans et autour duquel les Méditerranéens circulent, sans relâche... Parce que les déplacements là-bas sont fondamentaux et constitutif..
JERUSALEM. Au cours de ce 4e Festival du film, Eyal Sivan, réalisateur Israélien du très beau documentaire “Aqabat Jaber”, sur la vie d'un camp palestinien non loin de Jéricho, est retourné sur les lieux du tournage. Pour une projection dans la salle des fêtes. Emotions des réfugiés. 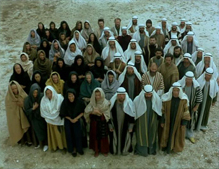 Quand j'arrive, le 30 juin au quatrième festival de Jérusalem, la fête bat son plein, depuis plusieurs jours, aux invités, Nagisha Oshima, Marcello Mastroiani, Krysztof Zanussi, Delphine Seyrig, Marta Meszaros, Claire Dewaere… on a donné un petit badge : Jérusalem in film festival - hundred films in one week. 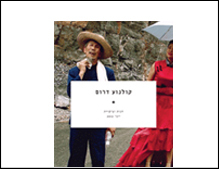 Who needs it&..
CAMP FOLLOWER ALTHOUGH many of the entries in this year's Jerusalem Film Festival are the work of experienced directors, the award-winning Akabat Jaber - Vie de Passage (Passing Through) is the first film of 22-years-oId Israeli director Eyal Sivan. Sivan, who now lives in France, returned to Israel last year and lived with a French film crew in the Akabat Jaber refugee camp near Jericho for 13 days. 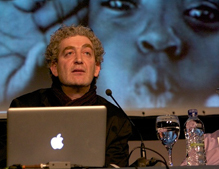 Recently, the documentary won the Grand Prix at the 1987 Cinema du Reel held annually in Paris. Lia Van Leer, director of the Jerusalem Cinematheque and the film festival, chose it "because of the recognition it received in France and because of the important political nature of the film." It was shown on June 29 and Ju..
Eyal Sivan was taking photos of a model exhibiting designer clothes. 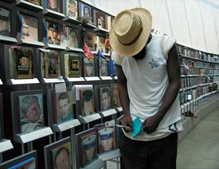 He had chosen as a background what he thought was a deserted refugee camp outside Jericho. With sun, sand, empty homes, a camera and a model, Sivan started clicking away. Then he noticed movement. Children, who seemed to have come from the center of the earth, suddenly surrounded them. Surprised by their presence, Sivan began to search for the source of this human movement. He followed the children around to discover that the seemingly deserted site still had life in it. 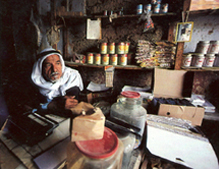 Most of the 65,000 Palestinian refugees who had filled the camp between 1947 and 1967 were gone. They went as refugees for the second time to Jordan; and later, maybe, to south Lebanon; and… an..